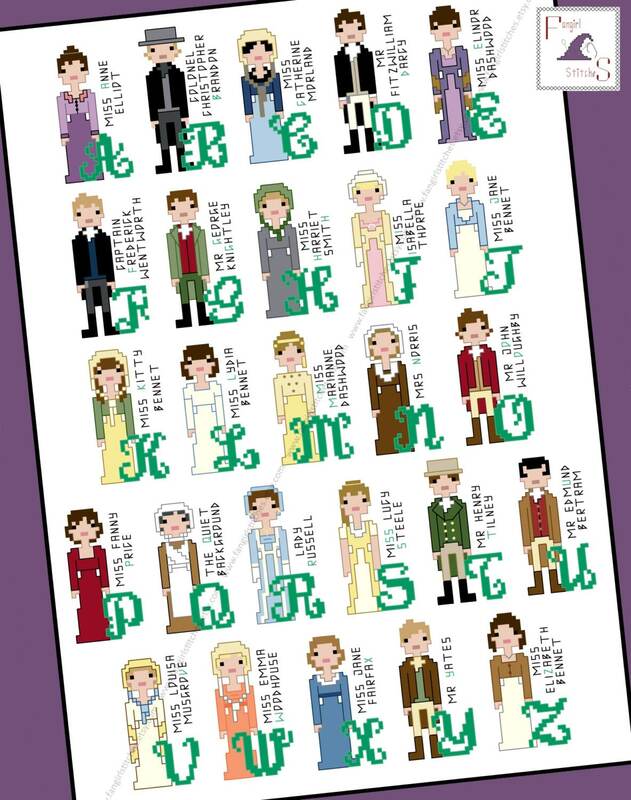 Lose yourself in the classic world of Jane Austen's romantic novels with this cross stitch alphabet pattern featuring 26 individual characters. Loved this pattern!! 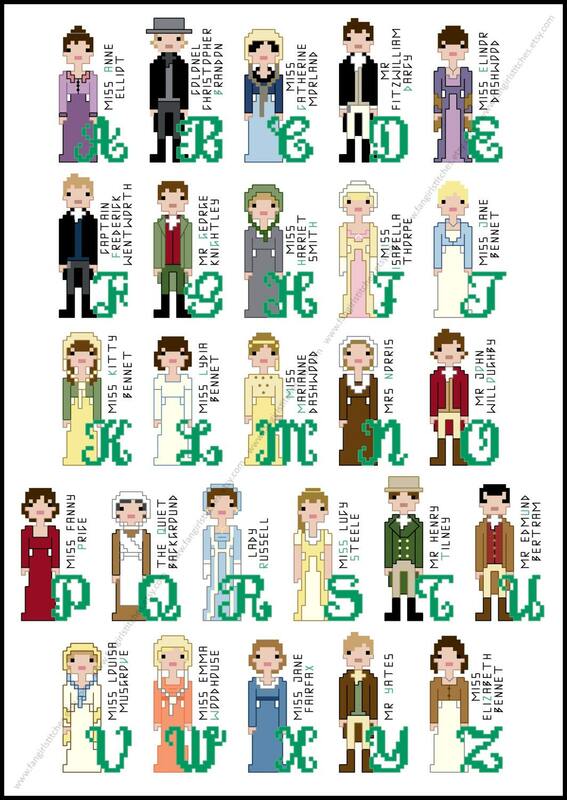 Had a great time stitching it and it will be perfect in my Jane Austen corner. Thanks so much! Picture of completed but not stretched or framed results. Love it! Can't wait to do it next year! As always, a fantastic pattern and beautiful design! Can't wait to get started!